Post-boxes, an Octopus-shaped lamp, a walking cabinet – Swedish designer Markus Johansson’s designs are full of whimsy and yet very practical. In 2008, Markus Johansson won a special award from the Swedish Post Office for designing a new ‘Classic’ property or mail box. Since then, the young Swedish designer has received several more awards and international attention including exhibitions at the London Design Festival 2011 and the prestigious Salon del Mobile 2015 in Milan. The Markus Johansson Design Studio made its first appearance at the Furniture Fair in Milan in the Spring of 2011 with its Nest Chair. 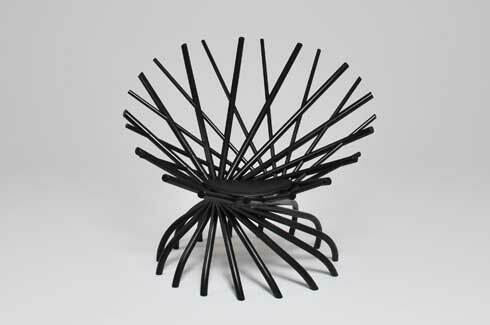 The Nest is a whirlwind of 30 ‘branches’ – solid steam bent timber rods – spreading in all directions, top and bottom, with a seat in between. At first glance, it indeed looks like a large, oversized nest. With this design, Markus wanted to “break away from the traditional design language” and find an exciting new one. He certainly did, as the Nest found admirers far and wide and is now produced by Mogg. 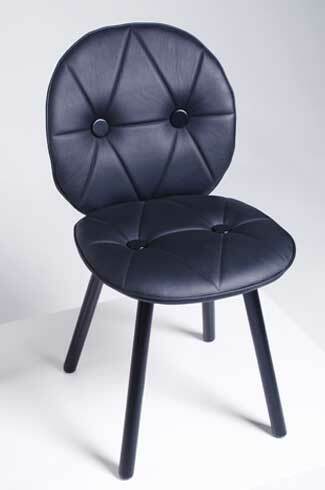 Many of Markus’ celebrated designs have been for furniture, particularly chairs. 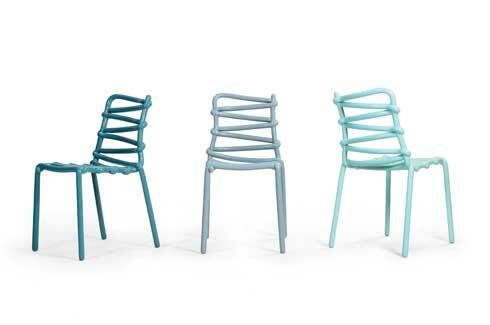 The Zig Zag chair is an interpretation of the classic Windsor chair; the Popsicle chair is a cheerful contemporary design with a rounded seat, as is the Harlequin, a cheeky design which steals from the world of theatre. The Colibri is inspired by Nordic stick back chairs with a fully customisable design. 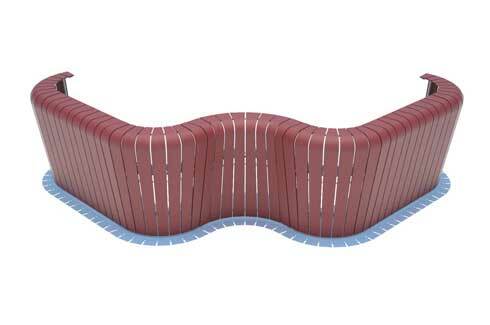 The Coquille sofa is an enveloping shell-like structure that makes you want to snuggle in with a book. 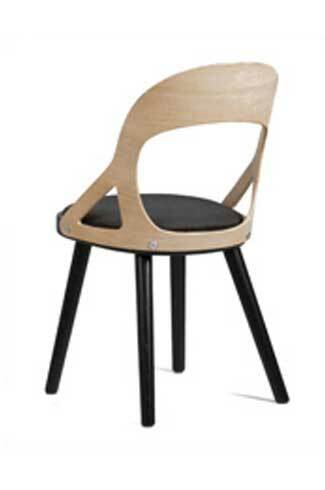 Markus’s new Loop Chair (2015) breaks away from the wood he favours, and instead was created using a 3D printer. The fiberglass chair has a poured-out-of-a-tube texture and is inspired by the “digressions of the mind”. 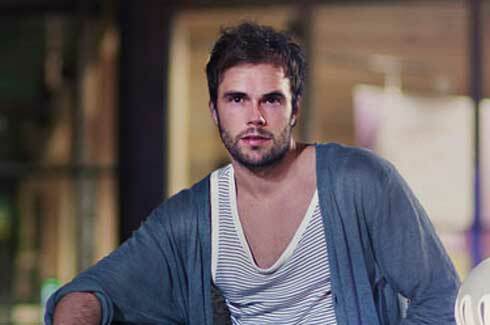 Markus’ range of furniture includes some stunning tables and cabinets. 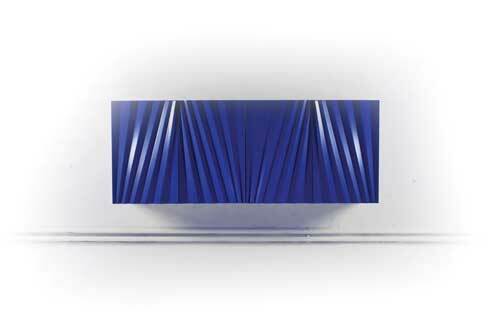 The ‘Sapphire’ cabinet will grab your attention and keep it there. With its striking electric blue colour (one of many), the lacquered cabinet used computer controlled cutting technology to make several ‘V’ shapes in the front. The ‘Castle’ is a reception desk of four parts that can be joined together to make several shapes including swirls and an enveloping desk. I particularly like the Walking Cabinet, a wonderful design that is so much fun to look at. 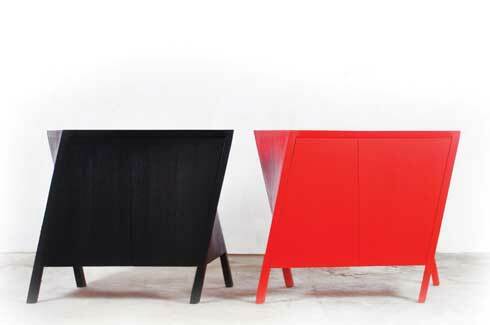 The cabinet has legs which twist in different directions, making it seem like it is going somewhere. The shiny new Fortress tables are a change from Markus’ usual designs. 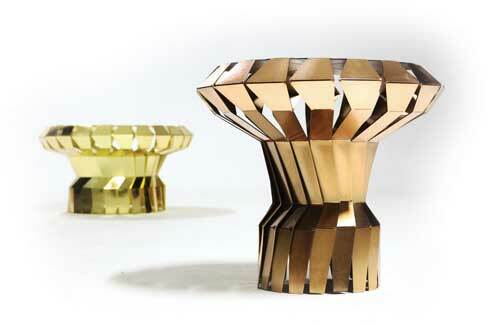 Made out of sheet metal cut and folded into a rotating angular form, the brass and copper tables look almost jewel-like. Markus’s designs for lighting are pretty innovative too. 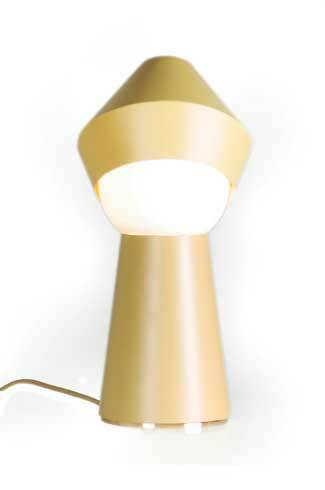 The ‘Hello Dude’ lamp looks indeed like a guy with a hat on – raise the hat and say hello to glorious light! 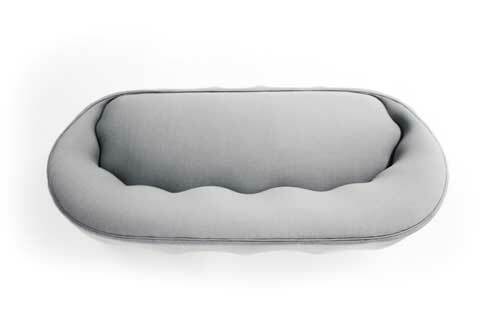 The position of the cap lets you regulate the direction and intensity of the light. The Solstice lamp is based on the assumption that “a lamp doesn’t need to be immobile and fixed”. The hanging lamp can be twisted and turned to reduce or increase the light. The Carronade looks like a cannon, and perhaps is equally powerful with its LED-lamp inside a short barrel that acts as a spotlight as well. The delicate Cirrata lamp is perhaps one of the most innovative designs for lamps. 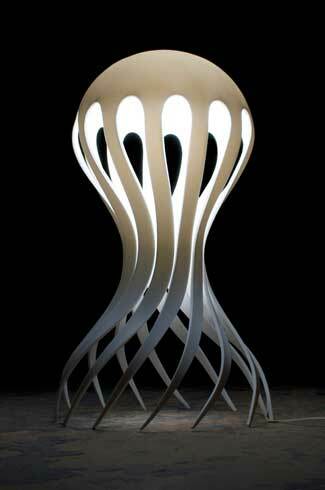 Inspired by an octopus, this incredible lamp was made out of heat-moulded Corian and sits perfectly on any surface. Even at this early stage, the Markus Johansson Design Studio has come up with some interesting and innovative shapes. 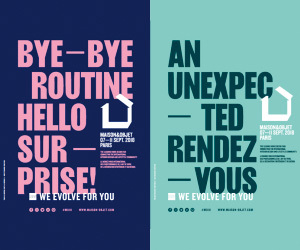 This is one young design studio to watch out for.